It may not be your retirement dream to jump out of an airplane. But, what do you want? What would make your retirement years good? Your desires and dreams are personal and unique to you. Shouldn’t your financial plan be the same? So, who is this woman jumping out of a plane on her 75th birthday? This is Bernice Sutherland – affectionately known as “Boots.” Thanks in part to her husband Al, who saved and invested very well, they lived her retirement years to the fullest. Boots celebrated life with her family, traveled the world, served as a medical missionary, and drove convertibles. They lived and left a legacy of love - true models of the retirement life! Meet her youngest son, Ken, and grandson, Alex - your advisors at LifePlan. 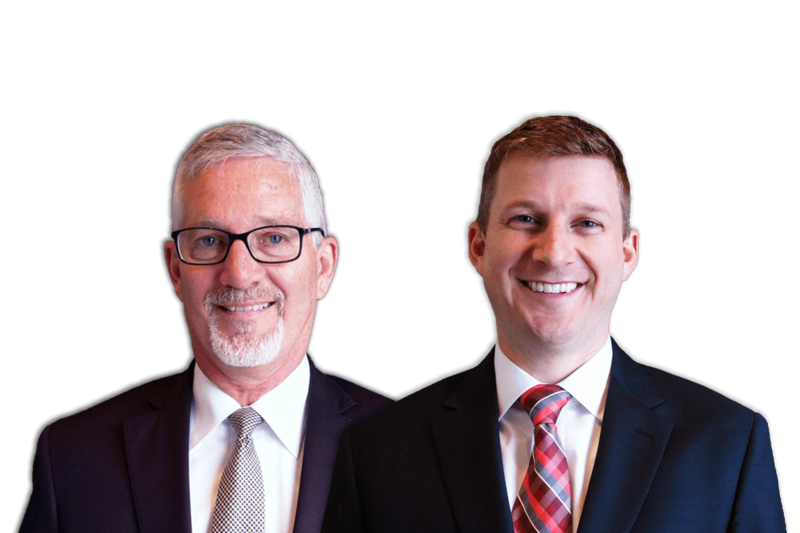 It isn’t often a former Lutheran Minister and former math teacher become a father son financial planning firm - perhaps we should give credit to Boots and Al! With our diverse upbringing and career histories we are proud to have built LifePlan. An independently owned firm, it was founded 22 years ago on the principal of providing exceptional retirement plans, yet with very personal advice and service. We encourage you to spend some time getting to know us through our website and hope you will join us at an event, a one-on-one vision meeting, or simply chat over the phone about your retirement dreams and financial concerns. We look forward to learning about your story and vision for your next chapter of life! LifePlan’s approach and simple mission, put the client first, originated in 1996. Our current business structure, formed in 2003, continues this mission as a baseline for everything we do. We listen to your dreams, establish your goals, and create a comprehensive financial plan that aims to focus your resources effectively on the life you wish to live. To live fully now, to not put off or postpone dreams, requires financial confidence. The technical skills we bring to investing, tax, risk and estate strategies are critical. However, it is our thorough, personal, and understandable LifePlan Map, that becomes the most valued source of confidence for clients. This is what we do.